Levente Viszló is reinventing nature conservation for post-communist Hungary by rolling out a series of new institutions, mechanisms and approaches that are rooted in citizen action and local level private-public partnerships. The effects of the industrialization of Central Europe were destructive in Hungary as well as in other countries. Hence, with the collapse of Communism in 1989, Levente Viszlö and his colleagues had to face several serious challenges, the most alarming being the possibility of the segmentation of large estates. To avoid this, they have bought lands from approximately 600 people over the past 20 years. Today, on these lands of prime natural value they offer nature management, education and a new attitude to environmental issues. They are tryingto save and maintain folk culture and its values and traditions. Also, Levente has participated in protecting birds, promoting ecological farming. Today the Vertes Mountain Public Foundation is owner of ecologically important lands of outstanding size and responsible for the implementation of ecological farming. They have almost a 1000 large animals including a herd of 700 Hungarian Grey Cattle. They also function as an educational center, atourist center, an animal park and an open-air school. 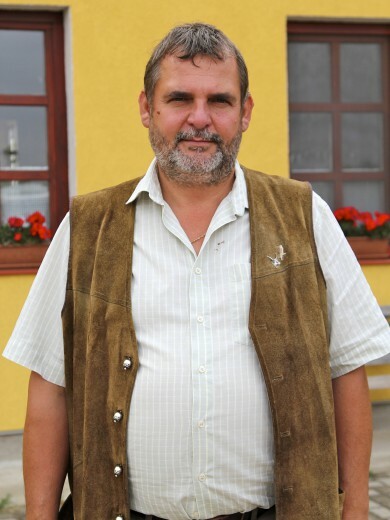 In 1994, Levente established Hungary’s widest, locally protected territory together with his colleagues. Later, this resulted in the involvement of 17 local governments, which led to the establishment ofthe Nature Park of Vertes in 2005. In the early 90’s he established the Vertes Mountain Public Foundation to create an organization for nature conservation which is responsible for nature reserves, together with local government and several other conservationist organizations. The goal was to protect and buy these segmented lands before their privatization. For protecting birds – mainly the Eastern Imperial Eagle and the Saker Falcon – Levente and his co-workers worked out a way to help them breed by using imitation nests. Today this model is used nationwide and internationally as well and more than half of the Saker Falcons are nesting in these imitation nests. The foundation has developed a great deal since it was established. Today, there is a much wider ränge of programs and Services, which are g’etting more and more well-known in the Nature Park of Vertes. In the future, with regard to today’s changing conditions, Levente would like to preserve what he has built up over the past years. The establishment of the system’s long-term functionality is abig ehallenge. His future goal is to create a European buffalo reserve on their territory. Furthermore, he aims to make their farming sustainable and self-supporting. Levente has always known that he wanted to work with nature conservation – that he was born to do this. A significant experience during his childhood was the ground-breaking work of his father and his father’s teacher colleague in the fleld of nature conservation and photography. That was when he committed himself to a lifetime of love and protection of nature. Levente is satisfied with his life since every day he is able to do the things he loves.